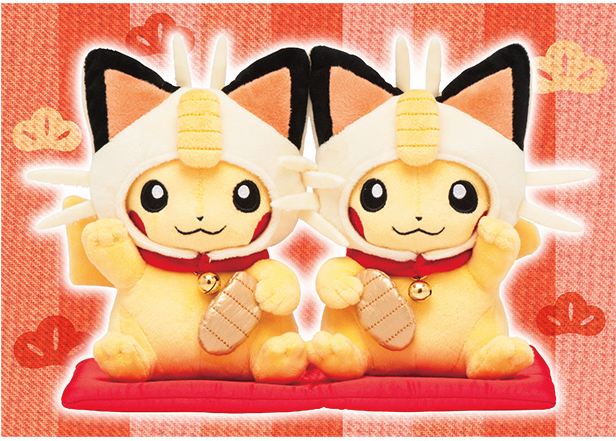 The first monthly Pikachu pair plush for 2017 has been revealed! It has a Maneki-neko Meowth theme. It will cost 2,600 yen. Release date is December 3rd, 2016.